Faster, easier and less expensive to upgrade. The Delta MultiChoice Universal Valve gives you the flexibility to upgrade the style and functionality of your shower without altering the plumbing behind the wall. By installing the universal shower valve first, you have the freedom to decide (or change your mind on) what type of shower you want later. 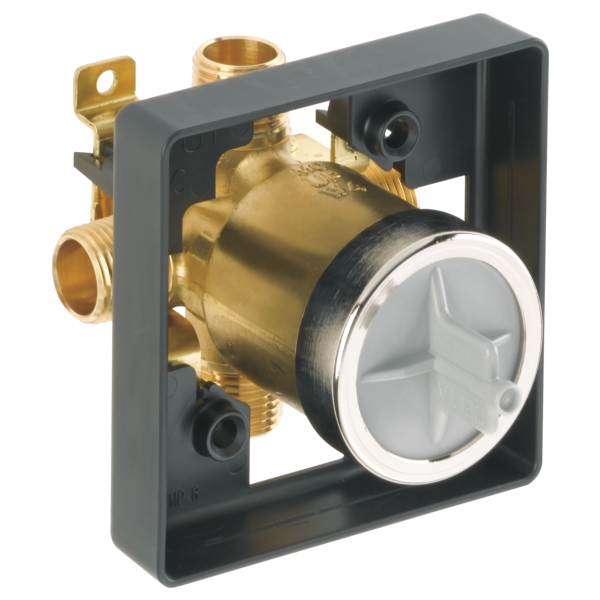 With the MultiChoice Universal Valve, getting what you want has never been so simple. This is a universal pressure balance valve. I love this product because it truly is UNIVERSAL with any delta trim sets! It is extremely simple to install and even more simple to operate. I highly suggest using this valve when you are remodeling your bathroom. I purchased this item to allow installation of a new Delta shower setup. It's a great device. Easy to install, durable and made with the exceptional Delta quality. What is the Single-Function Pressure Balanced Valve Cartridge? What is the Dual-Function Pressure Balanced Valve Cartridge? What is the Dual-Function Thermostatic Valve Cartridge? What shower trim sets can I use with this shower valve? Any 13, 14, 17, or 17T series trim kit that Delta currently makes will work with this rough-in valve. Trim-only kits will begin with the letter "T".